Deadpool has tangled with vampires before, but is he ready...to work for them?! Dracula has an important package he needs delivered safely, so he hires the Merc with the Mouth to get the job done! 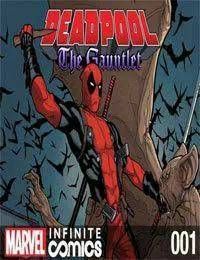 This 13-part series will leave a Deadpool changed man, leading to major changes in his series come April!